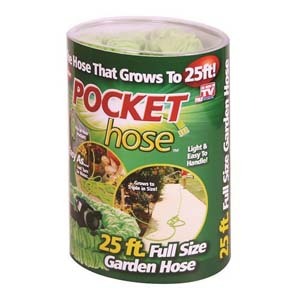 The Pocket Hose Ultra is a superlight weight gardening hose. The Pocket Hose Ultra is an upgrade to the previous model where the main difference is that it is 3x stronger. The hose is kink proof, easy to handle and weighs in less than 1lb. The Pocket Hose Ultra can be purchased at Amazon. With your help we can reach more people and let them know about Pocket Hose Ultra whether this product works or not.